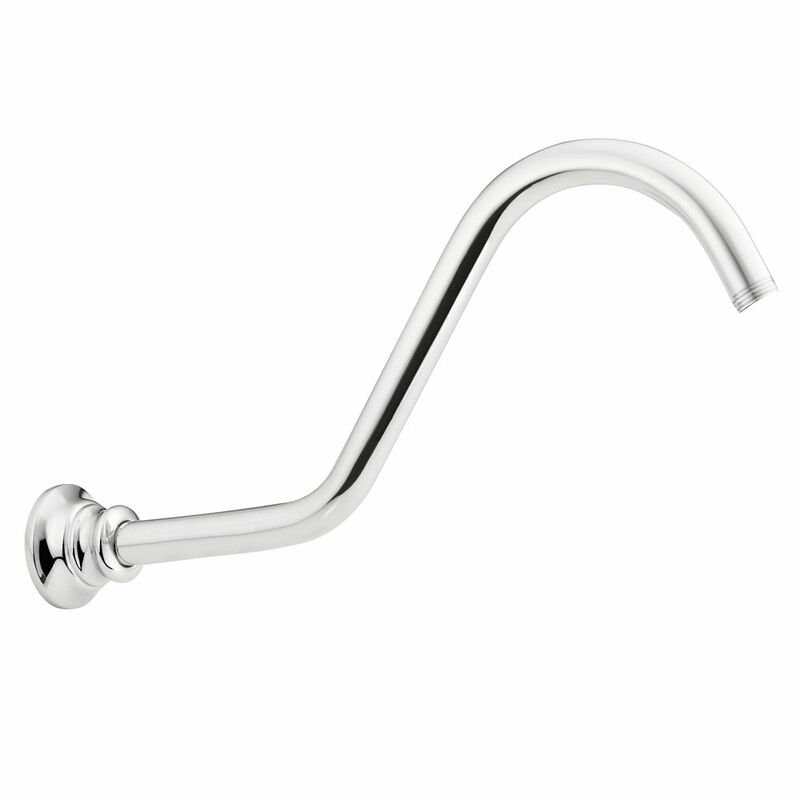 Add character to your bathroom with this MOEN Waterhill 14-inch Shower Arm in Chrome. It has intricate charm and sophisticated lines to upgrade the look of your bath. The chrome finish creates a bright, highly reflective, cool gray metallic look. This 10-4/5 inch adjustable shower arm in chrome is an essential component to a coordinated shower. The arm adjusts vertically 18 inch to accommodate users of different heights. You can count on Delta reliability throughout the home, including our accessories and repair parts. We back each and every item with our lifetime limited warranty. Replacing your tub spout or shower arm but don't want to deal with patching the hole the installation leaves? This remodelling plate is the answer: Simply use this JAG Escutcheon plate to cover the oversized hole left when changing to a new Tub Spout or new Shower Head Arm. JAG Plumbing products strives to bring on-line Customers the best replacement and repair parts available to North America. Experts in the field of non-OEM repair parts; JAG Plumbing offers customers a selection of economic solutions for their every-day home plumbing repairs. From finishes that are guaranteed to last a lifetime, to faucets that perfectly balance your water pressure. MOEN sets the standard for exceptional beauty and reliable, innovative design. This shower arm provides 16 -inch reach. Waterhill 14-inch Shower Arm In Chrome Add character to your bathroom with this MOEN Waterhill 14-inch Shower Arm in Chrome. It has intricate charm and sophisticated lines to upgrade the look of your bath. The chrome finish creates a bright, highly reflective, cool gray metallic look. Waterhill 14-inch Shower Arm In Chrome is rated 4.6 out of 5 by 19. Rated 5 out of 5 by Ron from Sturdy shower arm that delivers water downwards instead of sideway.... Sturdy shower arm that delivers water downwards instead of sideway. Rated 3 out of 5 by RichF from Escutcheon needs internal clip to hold it snug on the... Escutcheon needs internal clip to hold it snug on the pipe so it will stay against the wall. Rated 4 out of 5 by Sander from If there were a very good I would give it... If there were a very good I would give it that. The only problem is the flange does not fit tight to the wall, it will need some caulking to hold it. Rated 5 out of 5 by Michael from High quality product. Meets all my expectations.... High quality product. Meets all my expectations. Rated 5 out of 5 by Brenda from Perfect, just what I needed. Perfect, just what I needed.